Moacir Schnapp, MD came to Memphis from Sao Paulo, Brazil. He graduated from the University of Sao Paulo and completed his post medical school studies in neuropsychiatry. After completing a fellowship in Pain Management from the University of Tennessee, College of Medicine, he returned to Brazil where he was Associate Professor at the University of Sao Paulo and Medical Director of the Instituto de Dor. He was the founder and first president of the South American Chapter of the International Association for the Study of Pain (IASP). Upon returning to Memphis he accepted a position at the University of Tennessee Pain Clinic, and later succeeded Dr. Kit Mays as Clinical Director. In 1985 he joined Dr. Mays in private practice, together they founded the Mays and Schnapp Pain Clinic and Rehabilitation Center one of first pain clinics in the United States certified in all areas of adult pain management and rehabilitation by CARF and one of the first multidisciplinary pain clinic in the South. 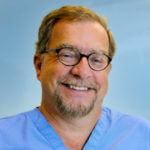 He is also Clinical Assistant Professor at University of Tennessee, College of Medicine. Dr. Schnapp and Dr. Mays continue to collaborate on ways to manage chronic pain and provide the Mid-South patients with access to world-class pain management treatment.